Creating a Study Den Feb 06, 2014 No learning happens in a vacuum. The environment set aside for study has an incredible influence on how successful time spent for learning will be. This, of cou..
Visit camexpo in London With a Student Discount. Sep 25, 2014 ADL students studying a course approved by the Complimentary Medical Association can benefit from great savings on a ticket to the associations flagship event c..
Letter from the Director - A Moment to Reflect Dec 17, 2014 Ah Christmas! It's such a wonderful time of year and brings back so many wonderful memories. Like the time I discovered Father Ch.. The University Dream – Getting in the Back Door Jun 11, 2015 Becoming a graduate is fast becoming a pre-requisite for so many careers and positions. While a university qualification is not, by itself, a measure of c..
Computer Eyestrain – easy solutions Jun 14, 2016 Computer Eyestrain – easy solutions Do you ever find that your eyes feel tired, dry or stinging after a session on your computer? We often find o..
A Brief History of the NHS and the British Welfare State Jul 05, 2018 Attlee and Bevan In 1948 on this day Aneurin Bevan, Health Minister in the Attlee government, signed off on the creation of the National Health..
Understanding Pain Aug 10, 2018 Everyone is familiar with experiencing pain. Sometimes, pain is easy to account for if a finger has been burnt or a toe has been stubbed. At other times, pain i..
Great YouTube Channels for Health Science Students Sep 13, 2018 We've put together a list of channels we think all Health Sciences students should take a look at. Even if you simply have an interest in medical sciences, ..
Hello Regina and thank you for getting in touch with us. Every applicant for this course is considered on a case by case basis and although A levels are not required, a good foundation in science would help your cause. If this isn't available, don't worry, you can pay for and take one module first and then if you're suited to take the whole Advanced Diploma afterwards, you will just pay the difference. Hello, Is this course accredited in China. Specifically Wuhan University? Hello Bruno and thank you for getting in touch. The places that we know will consider this Advanced Diploma are already listed and we will add more as and when we can. 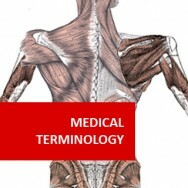 For example, another Medical School in the UK wants to review the learning material in the course, with a view to accepting it as part of their admissions process. However, it is not possible for us to write to every university in the world, but this does not mean that the qualification won't be accepted by Wuhan University, or other universities in China. We advise that you check whether our qualification will be considered as an appropriate one with those you are interested in, before enrolling. Many universities will accept it because of it having a track record of being accepted elsewhere. Therefore, considering the cost effectiveness of possibly gaining a suitable qualification, it is worth you contacting Wuhan and others. Feel free to give them the link to the course , so that they can look at what is covered and who accepts it currently. If they would like to review the course material, we can arrange it. I hope that this is helpful and that all goes well for you. Hi, is it possible to get exempted from some of the modules (e.g. physics, academic writing) based on past education (BS& MS in physics & biomedical engineering, MBA)? We do recognise prior learning, so we may be able to exempt you from Physics and Academic Writing. You can enrol for the course and submit your evidence of your qualifications for our Director of Studies to consider. With the qualification that you cite, there shouldn't be a problem. Please click on the link below to view our policy on RPL. I hope that this information helps you. which university in ireland can i apply for after i complete this pre-medical diploma? We are pleased to say that you can apply to any medical university in Ireland, because this course has been approved by the Royal College of Surgeons in Ireland, Bahrain and Malaysia. Therefore, the Advanced Diploma will be accepted subject to you being able to satisfy the university's other entrance criteria and their acceptance of you. The level of this Advanced Diploma has been deemed as level 6, at the level of a BA or BS.c. 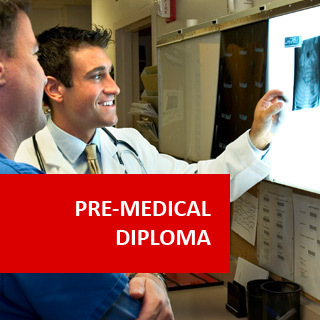 ADL’s Advanced Diploma in Medical Science (Pre-Medical) program is an intensive course of study designed to prepare students for a rewarding career in medicine, health sciences, complementary medicine or a para-medical field. Aberdeen University in the UK, considers the qualification an appropriate one that can be used as part of their admission process, in fulfillment of their academic requirements, starting from applications in October 2017 for 2018 entry. Brighton and Sussex Medical School (BSMS) in the UK, is happy to accept the Advanced Diploma as an entry qualification on to their BM BS Degree. In addition, the UK National Health Service sponsor's students to study four modules from this Advanced Diploma in Medical Science: Biochemistry I (Animals), Biochemistry II (Molecules), Biochemistry III (Animal Biochemical Processes) and Cell Biology. 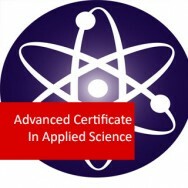 If you just require these four modules, please enrol for our Advanced Certificate in Applied Science. If applying to other medical schools we recommend that you confirm with the Medical School of your choice, that this program is an acceptable admissions pathway, before enrolling with us. Due to the keen competition for places at medical schools, learners with the required A levels can take this Advanced Diploma to help them stand out at an admissions interview. Academic Writing BWR110 (non-credit) is a short ten (10) hour module, requiring the completion of two assignments. Each of the above 9 modules is of 100 hours duration (excluding Academic Writing). Self-tests, assignments and a final examination at the end of each module are compulsory. Unlimited one to one tutor access is provided throughout the program. Courses are updated on a regular basis. Modules may be studied in any sequence. Course Credit hours for the UK are 90 Credits (each module is 10 credits). Alternatively, for those who are considering entering a USA medical school the credit hours equate to 3 credit hours per module - a total of 27 credits hours. Completion of the appropriate credit hours with a grade B+ or more are needed in order to satisfy the academic requirements of this Advanced Diploma. Opportunities do exist for graduates, without further training; but this course by itself does not, nor should be seen as constituting full medical training. Candidates are considered on a case-by-case basis. 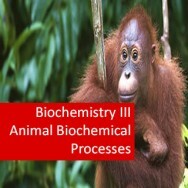 The basic entry requirement is a High School Diploma or equivalent, with good passes in science subjects (Chemistry, Biology, Physics, and Mathematics). University graduates, transfer students and mature students with or without any science background are also eligible to apply. Those without any science background maybe required to undertake basic science courses first. Students whose first language is not English must show proof of English proficiency (IELTS 6.0 +, TOEFL 600+, or equivalent) in order to start the program. Students may begin the program without these scores however, they will not be allowed to graduate until the required score has been obtained, if required. For graduation purposes, IELTS of 7.5 or TOEFL of 650 or equivalent must be achieved. Entry requirements for Medical Universities vary from University to University. Each University will have it's open unique admission requirements and we advise that you check with the University of your choice to determine if you meet their entry requirements. 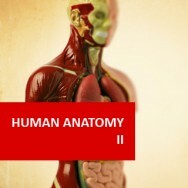 Medical universities consider each application on a case-by-case basis. In addition to ADL's Diploma in Medical Science (Pre-Medical) qualification, medical schools take into consideration a number of other factors including academic background, test scores, personal qualities, and intent. All these components are considered for entry, and although successful completion of the ADL's Advanced Diploma in Medical Science (Pre-Medical) is highly recognised, the final decision for entry is at the discretion of the Medical University/School. All course material, mentor support, exams, and certificate are included. Upon completion of each module, you will sit for an exam, taken at a time and place of your choosing. You will need to nominate an appropriate Adjudicator to administer the examination and they are usually one and a half hours long. On satisfactory completion of all modules, exams, and practicals, you will receive your Advanced Diploma plus transcript, endorsed and issued by TQUK - Training Qualifications UK, an Ofqual Approved Awarding Organisation. N.B. These guidelines do not include completing the non-credit academic writing program. You may undertake more than one module at a time. Before deciding on the number of modules you might wish to study concurrently, careful consideration should be given to work, home and any other commitments you might have. Overtaxing your time will result in poor grades. Tuition fees for each 100 hour module is £340. Students may pay their tuition fee module by module and may commence their studies with one module only or a combination of modules. 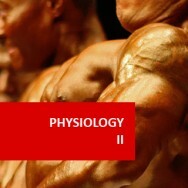 Total fees for the 9 modules is £3,060.00 (if paying one module at a time). A reduction in tuition fees of 25% is available where a student pays for the full program up front when enrolling, a discounted total fee of £2,295.00. A number of interest-free payment options are also available on the full fee of the course. You can start at any time from any where in the world and complete the program at your own pace. ADL has made the program as flexible as possible to help students study round their personal commitments at home and at work. However, since each Medical University sets its own deadline for admissions, it is advisable to work towards their entrance requirements. Does the Program Cover Practical work? ADL courses contain Practical Tasks – something quite unique in distance education. Practical tasks include: Field Research, Networking and Analysis, Conducting Surveys, Growing and Dissecting things, Collecting and Photographing things and Processes. The Advanced Diploma in Medical Science (Pre-Medical) is awarded by ADL, on successful completion of all course work and examinations. You will need to maintain a grade 90% or above (distinction level) in each of the 9 modules including Academic Writing. 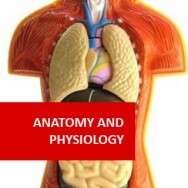 Exams may be re-taken (for the published fee) in order to obtain a better grade for Medical School entry consideration. MEDICINE: - Anaesthesiologist, Midwife, Physician, Nurse, Dentist, Surgeon , Radiologist, Pharmacist, Biomedical Scientist, General Practitioner etc. COMPLIMENTARY MEDICINE: - Neuropathology, Herbalist, Nutritionist, Wellness, Consultant , Sports Therapist, Remedial Therapist, Homoeopath etc. ALLIED HEALTH & PARA MEDICAL: - Physiotherapist, Occupational Therapist, Exercise Physiologist, Chiropractor, Paramedic, Osteopath, Pathologist, Optometrist, Medical Illustrator, Health Promotion Officer, Physicians Assistant, Extracorporeal Technician, Podiatrist, Veterinarian. "Yes - The course, the tuition, and the whole experience exceeded my expectations. I found I was very comfortable being re-educated after 20 years+ of being in the business world." The qualification for this Advanced Diploma in Medical Science (Pre-Medical) is endorsed and issued by TQUK - an Ofqual approved awarding organisation. Course Prerequisite An aptitude for science would be helpful - Our course levels are an indication of the depth of learning you should receive. They do not describe the level of difficulty. Comparative Credits Information UK Course Credits: 90 - U.S. Credit Hours: 27 - when compared to regulated courses. Course Duration and Deadlines 900 hours approx. Course hours given are a guide only. Work at your own pace with no assignment deadlines or completion date. You are in control!